There is no better place to experience a vast, empty, remote desert landscape than the Mojave National Preserve. This unit of the National Park Service is huge — 1.6 million acres, the third largest in the NPS system. And although it’s big, it’s very undeveloped, even by public land standards. Services are basically non-existent, roads are few, and the pavement is bumpy (on the roads that actually have pavement). 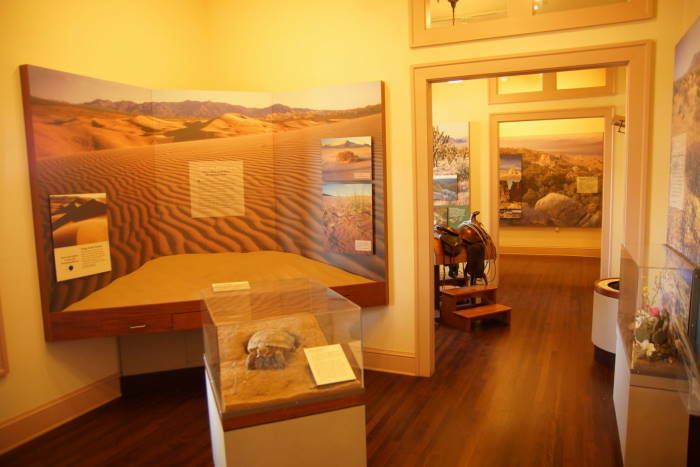 There is one oasis, though — the ghost town of Kelso, California, which is now home to the park’s visitor center. Mojave National Preserve is sandwiched in between Interstate 15 and Interstate 40, in southern California, east of Barstow. The park’s visitor center is at Kelso, which is located near the center of the preserve. You can access Kelso via Kelbaker Road or Kelso-Cima Road. In the middle of nowhere, surrounded by nothing, the old Kelso railroad depot looks like a palace. 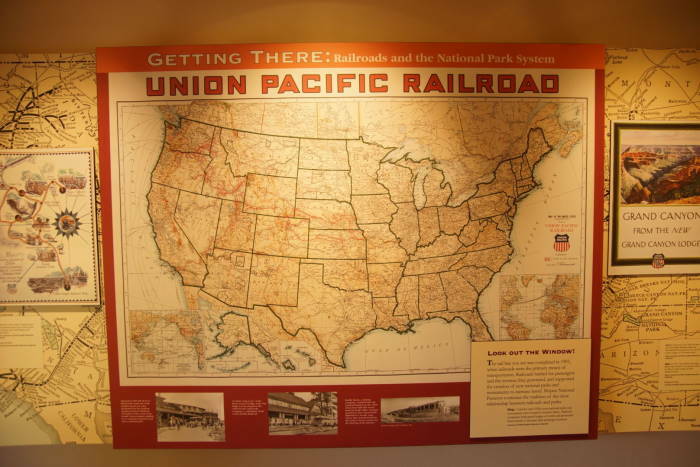 It’s been here ever since 1923 — nearly two decades after the town was built to service a railroad line that connected Los Angeles with Salt Lake City. The town boomed in the 1940’s, thanks to borax, iron, gold, and silver mines in the area. But, a decade later, the boom ended, and the town dwindled. 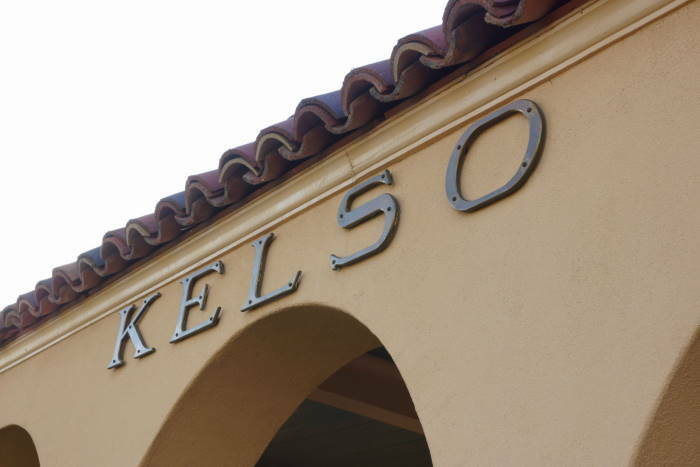 Kelso was named after a railroad worker — one of three employees who put their names in a hat, hoping to win the honor. 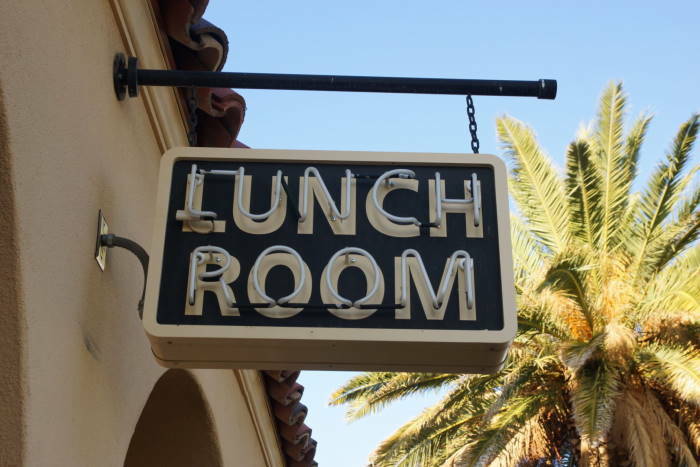 The depot was at a location that made it the perfect place for a restaurant. 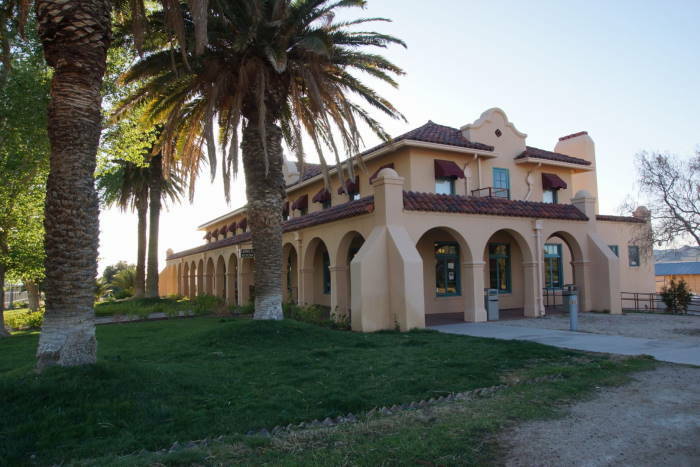 People aboard trains that didn’t have a dining car would be getting hungry when they arrived here, so the depot provided a place to eat. 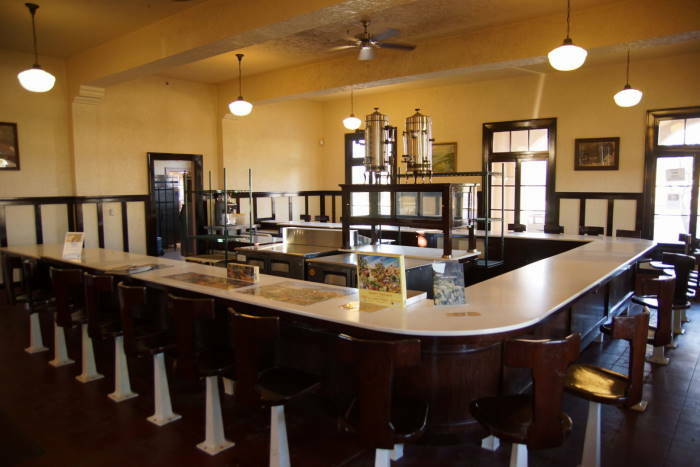 If you’re fortunate enough to arrive in Kelso when the visitor center is open, you can step inside the old depot and check out the lunch counter. Unfortunately, it’s no longer serving food, but it’s still pretty. 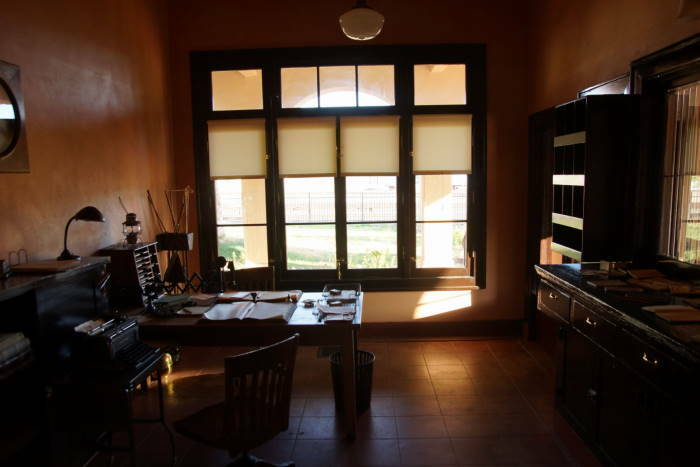 You can wander around the old depot, and check out rooms like the old ticket and telegraph office. … and the harsh desert environment that surrounds you. 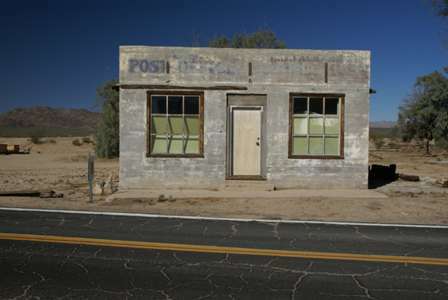 The old Kelso post office is across the street from the depot. I took this picture back in 2007, but it looked pretty much the same in 2016. You’ll also find the remnants of a few other buildings nearby. Back in 2007, I drove up to the ghost town of Cima (north of Kelso, and east of Baker). You can see that visit here. After spending a few minutes at Kelso, I knew I needed to cover some more ground before the end of the day. I was hoping to catch a nice sunset at the Kelso Dunes on the south side of the preserve, so that’s where I headed next. It’s nice to see some signs of civilization in the middle of the desert, and it’s also good to find some air conditioning and advice from park rangers. So, be sure you stop at Kelso, even if your visit is brief.